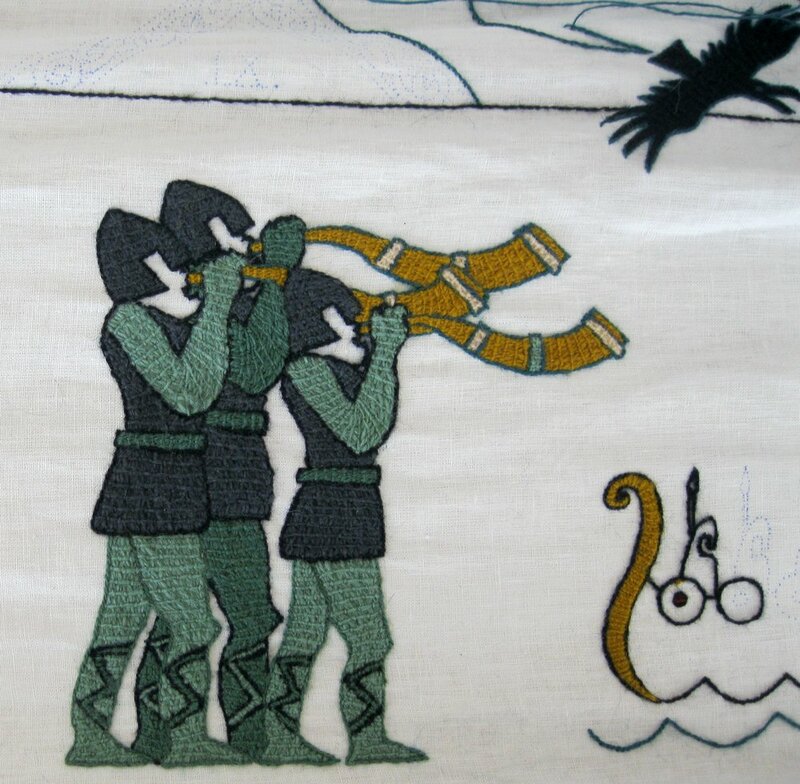 The Vatnsdæla Tapestry Project is the idea of Jóhanna E. Pálmadóttir and it is modeled after the Bayeux-tapestry which was sewn in the 11th Century in France. 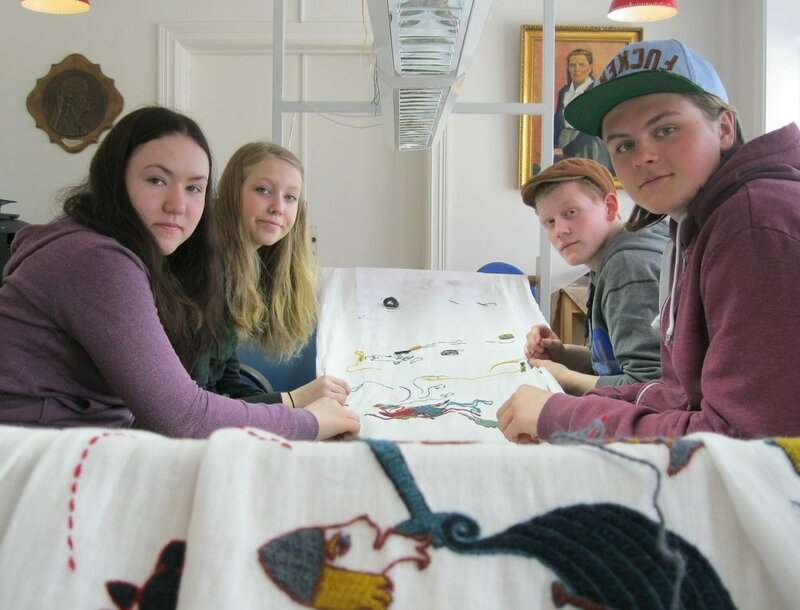 The goal of the project is to revive the Vatnsdæla saga using an ancient method of embroidery to tell the story. The saga, which is picturesque and full of conflict, will be presented in a new way from a modern point of view. The tapestry will be 46 meters long and everyone who wishes to make their mark in the saga is invited to take part. Guests who embroider or donate to the project will be part of this important community project. The name of every person who embroiders or supports the project will be recorded in a book which will kept with the tapestry. 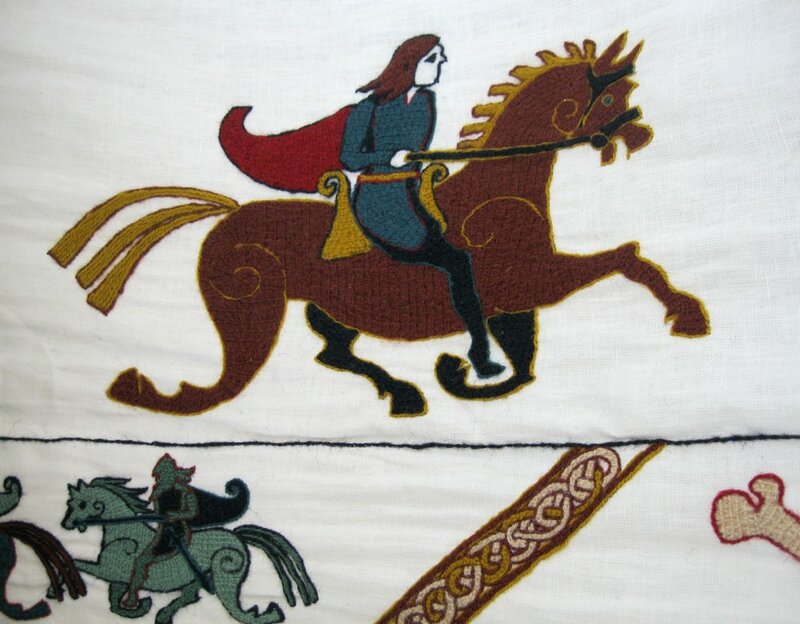 The tapestry is located at the Kvennaskólinn in Blönduós. Visitors will have the chance to make their mark on the project for a modest fee which includes instruction, training and guidance. Visitors can also make special appointments outside of opening hours upon request. 13:00-17:00 from the 15th of June to the 15th of August every day except Monday and Tuesday.